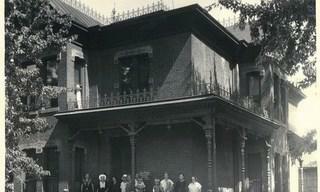 In 1896, under the guidance of Volunteers of America co-founders Maud and Ballington Booth, the VOA Colorado Branch was founded with its first programs in Boulder, Leadville, Pueblo and, soon after, Denver. 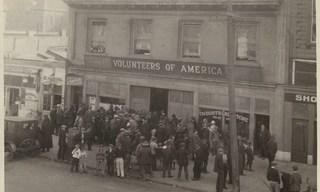 By the turn of the century VOA soup kitchens fed the hungry and sleeping space was provided for the homeless. Over one hundred years ago, a handful of inspired individuals began a journey that continues today. This journey brought them to the extremes of poverty, into the world of the abused, the destitute, the hungry, in to a world that lacked both material and spiritual comfort. 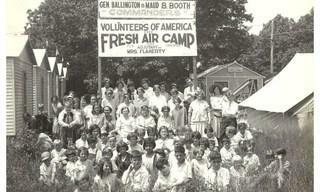 These dedicated individuals, known as the Volunteers of America, rolled up their sleeves and created shelter for homeless women and children and served meals throughout the year so that no one would hunger. Needy children were treated to festivities on each holiday and job opportunities were created for the unemployed. This year more than 17,000 dedicated volunteers helped Volunteers of America's Colorado Branch reach over 200,000 men, women, and children. We do more than Feed, Shelter, Support and Care. Every effort is made to assist individuals reach their full potential and become self-sufficient. Our work is not all bread and shelter. The underprivileged, the weak and the unfortunate need more. They need sympathy, the warmth of fellowship, and the instilling of courage.